Our website is now back in English and can be reached in the new design under the domain Piwipedia.com. Many thanks to James Heal for the translations. We will continue to work to get PIWI into international waters as well. Currently, the PIWI children’s book is being translated by volunteers into a Spanish, French and Dutch version. Once available, we will provide PDF versions. If you are interested in supporting us in other languages, please contact us. The German-language page can be reached at Piwipedia.de. 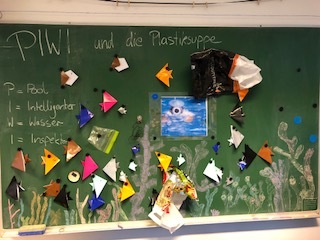 In the 5th edition, a special issue for Berlin, our children’s book PIWI and the plastic soup, the way of rubbish from Berlin to the North Sea will be shown for the first time. 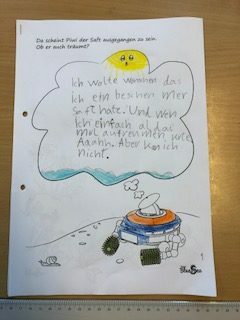 The book is aimed at children of primary school age and should be used for teaching and raising awareness in Berlin schools and educational institutions. Free orders are now available for Berlin facilities and can be made here. The delivery of the books is scheduled for the end of November. The project (revision of the book, printing and shipping) is funded by the Stiftung Naturschutz (Foundation Nature Conservation) Berlin from the funds of the Trenntstadt Berlin. The project was managed by Angelika Heckhausen, the illustration and graphics were designed by Manfred Schaller. Klaus Döring was responsible for the text and Udo Trautmann put the online presence into practice. 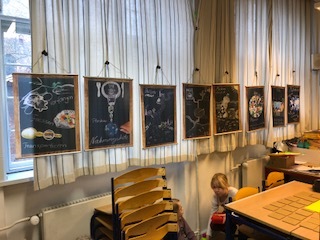 Thank you very much that PIWI participated in the great project week of sustainability at the Saint-Petri School in Copenhagen. 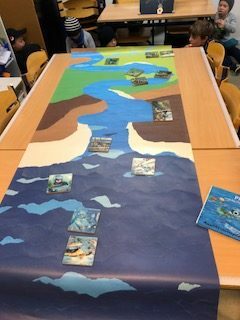 A big thank you to the motivated children and teachers! More about St. Peter’s School in Copenhagen can be found here. The PIWI books of the English edition PIWI and the plastic soup are unfortunately already out of print after 5 months. It is possible to register on a waiting list for the English edition or to download a PDF version. The German-language 4th edition has been out of print since the beginning of February. The waiting list for the German edition can also be entered. At the moment, however, we can not agree that there will be a reissue because we still lack supporters. Copyright © 2019 PIWI . Powered by WordPress. Theme: Ample by ThemeGrill.